My Dreamspun Desires offering, The Greek Tycoon’s Green Card Groom is now available wherever you buy books. 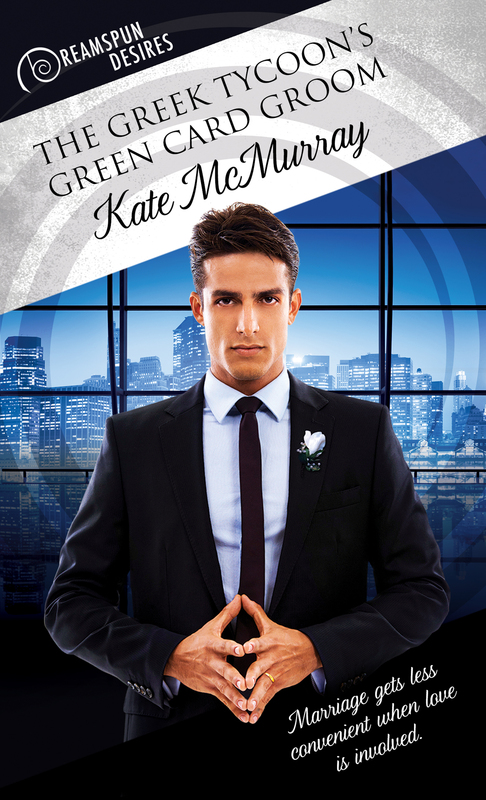 Then in July, my Dreamspun Desires book, called The Greek Tycoon’s Green Card Groom, will be available for you all to get your grabby hands on. Also sometime in the summer, Dreamspinner is putting out a shiny new edition of The Boy Next Door. Convention season gets going a little early for me this year. I’ll be on a panel on diversity in romance for the Queens Library on October 19. I’ll be a featured author at Coastal Magic in Daytona, FL, in February. I’m teaching a workshop and doing some fun reader things at the Liberty State Fiction Writers Create Something Magical Conference in New Jersey in March. RWA in San Diego is currently in the Maybe column. So that’s a quick glance at what’s on tap, at least for the next six months. Plus lots of writing, hopefully.